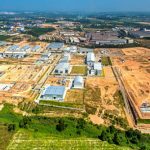 Wolf Commercial Real Estate, the leading Southern New Jersey commercial real estate brokerage firm, is your number one source for commercial South Jersey land parcels. As part of our full range of Southern New Jersey commercial real estate services, we represent a number of undeveloped South Jersey commercial land sites for sale. New Jersey may be the most densely populated state in the United States, but there are still a number of South Jersey land sites zoned for commercial, retail and mixed use available for development. Prices for Southern New Jersey land sites are very reasonable right now and land owners and developers are actively looking for new property investments. 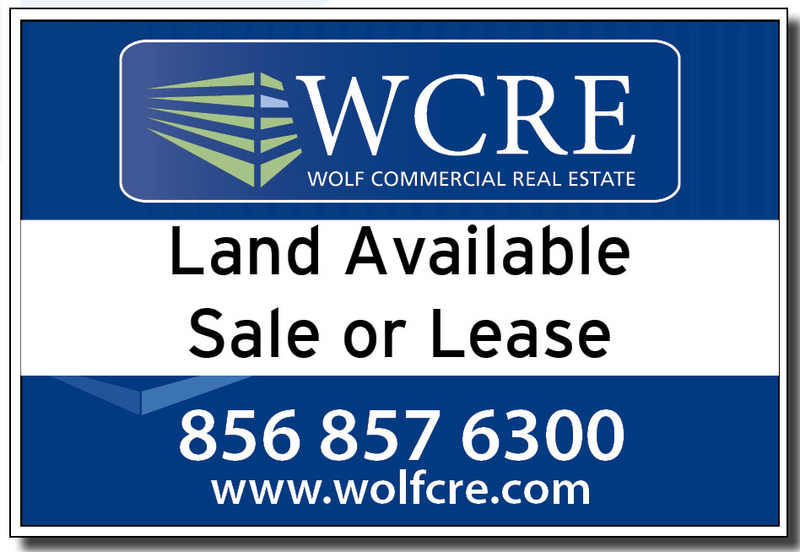 If you are interested in Southern New Jersey land for sale, then look no further than Wolf Commercial Real Estate (WCRE), a South Jersey commercial real estate broker that specializes in South Jersey commercial real estate listings and commercial properties. Whether you are a land owner with Southern New Jersey commercial land for sale or a developer or investor looking for opportunities to purchase Southern New Jersey land sites, Wolf Commercial Real Estate is the Southern New Jersey commercial real estate broker you need. We are experts in Southern New Jersey commercial real estate services, matching buyers with sellers and owners with tenants locally and throughout the United States. The team at our South Jersey commercial real estate brokerage firm provides ongoing detailed information about South Jersey land for sale to our clients and prospects to help them achieve their real estate goals. At Wolf Commercial Real Estate (WCRE), our Southern New Jersey commercial real estate services encompass the highest quality of service, proven expertise, and a total commitment to client-focused relationships. For developers and investors seeking South Jersey commercial land parcels for sale, Wolf Commercial Real Estate can help you find the property that best suits your needs. Our South Jersey commercial real estate brokerage firm has the people, the power and the connections to get you the right South Jersey commercial land sites at the right price. The professionals at our South Jersey commercial real estate brokerage firm ensures that the sale or lease terms work hand in hand with your commercial real estate goals. We work with land owners, land developers and municipalities to make sure that the Southern New Jersey commercial land for sale is properly permitted, zoned and represented. At Wolf Commercial Real Estate, we partner with our clients from start to finish in order to facilitate a smooth transition. For South Jersey land owners looking to sell their South Jersey commercial land parcels, Wolf Commercial Real Estate has developed a defined marketing process that we tailor to each property and sub-market. Our proven marketing strategy works effectively to efficiently match buyers with available Southern New Jersey land parcels for sale. 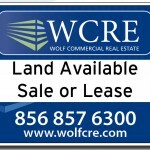 Wolf Commercial Real Estate, a leading Southern New Jersey commercial real estate brokerage firm, currently has several Southern New Jersey commercial land sites for sale. Don’t miss your opportunity to secure the ideal Southern New Jersey land for sale at competitive prices. For more information, please contact Jason Wolf (856-857-6301; jason.wolf@wolfcre.com),, Scott Seligman (856-857-6305; scott.seligman@wolfcre.com) or Christina Del Duca (856-857-6304; christina.delduca@wolfcre.com) at Wolf Commercial Real Estate, a Southern New Jersey commercial real estate broker that specializes in South Jersey commercial real estate listings. 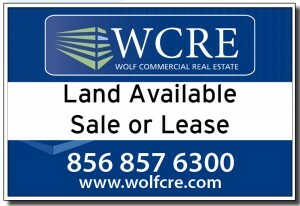 Wolf Commercial Real Estate is a South Jersey land and commercial real estate broker that provides a full range of Southern New Jersey commercial real estate services, marketing commercial offices, medical properties, investment properties, industrial properties, land parcels and retail buildings for buyers, sellers, tenants and investors. Please click the links below for listings of Southern New Jersey land parcels for sale and other South Jersey commercial real estate listings from Wolf Commercial Real Estate, a Southern New Jersey commercial real estate broker. Wolf Commercial Real Estate, the foremost South Jersey commercial real estate broker that specializes in Southern New Jersey commercial real estate listings and services, is now offering prime South Jersey land for lease at Pomona Road and White Horse Pike in Galloway NJ. 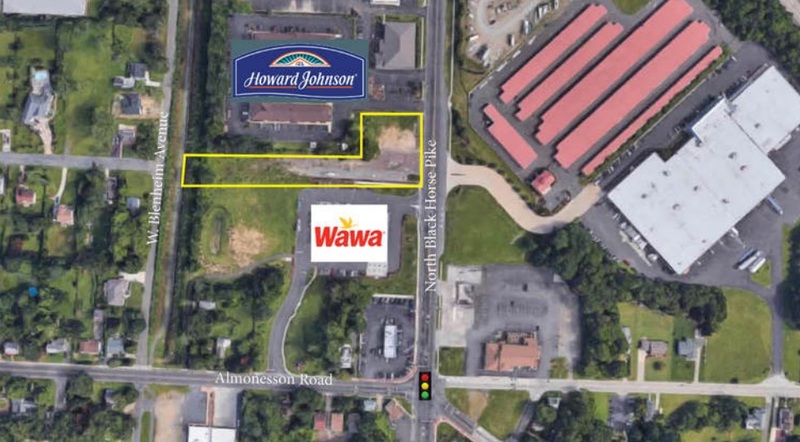 This Southern New Jersey land for lease is a retail center offering opportunities for local shopping, major retailers and big box grocers on Pomona Road and White Horse Pike Galloway NJ. This is a mixed-use property with student housing for approximately 400 to 700 Stockton University students situated above the retail space. There is a total of 159,000 SF of retail/commercial anticipated at this land for lease in South Jersey at Pomona Road and White Horse Pike Galloway NJ and this South Jersey land for lease has space available in sizes from 2,000 SF – 40,000 SF. Please call for more information on the asking lease price of this land for lease in South Jersey at Pomona Road and White Horse Pike Galloway NJ. This Southern New Jersey land for lease is available through Wolf Commercial Real Estate, a South Jersey commercial real estate brokerage firm with expertise in Southern New Jersey commercial real estate listings and services. 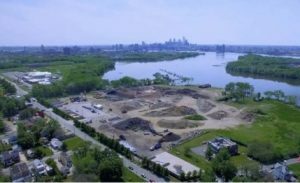 There are build-to suites and vanilla shell delivery options available at this land for lease in Galloway. 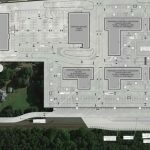 The Southern New Jersey land for lease at Pomona Road and White Horse Pike Galloway NJ has the approval for a train station stop for the Atlantic City Rail Line/New Jersey Transit. Nearly 51,000 residents live within five miles of this land for lease in Galloway. The average household income in the same radius of this Southern New Jersey land for lease is $71,219. For more information about this South Jersey land for lease at Pomona Road and White Horse Pike Galloway NJ or about any other South Jersey commercial properties for lease or lease, please contact Christopher Henderson (856-857-6337; chris.henderson@wolfcre.com) or Ryan Barikian (856-857-6307; ryan.barikian@wolfcre.com) at Wolf Commercial Real Estate, a South Jersey commercial real estate brokerage firm. Wolf Commercial Real Estate, a full-service CORFAC International brokerage and advisory firm, is a premier South Jersey commercial real estate broker that provides a full range of South Jersey commercial real estate listings and services, property management services, and marketing commercial offices, medical properties, industrial properties, land properties, retail buildings and other South Jersey commercial properties for buyers, tenants, investors and sellers. Please visit our websites for a full listing of South Jersey commercial properties for lease through our South Jersey commercial real estate brokerage firm. Wolf Commercial Real Estate, a leading South Jersey commercial real estate broker that specializes in South Jersey commercial real estate listings and services, is now offering premier South Jersey land for a pad-site development opportunity at 1288 Route 38 Hainesport NJ. There are +/- 7.10 acres available as part of this South Jersey commercial land for a pad-site development opportunity at 1288 Route 38 Hainesport NJ. This South Jersey commercial land for a pad-site development opportunity through Wolf Commercial Real Estate, a South Jersey commercial real estate broker, has numerous spots available for lease and development. This South Jersey land site is ideal for retail, professional, and medical offices. Please call for more information about the price of this pad-site development opportunity in South Jersey. This property at 1288 Route 38 Hainesport NJ is located in a redevelopment zone. Wolf Commercial Real Estate, a South Jersey commercial real estate brokerage firm that specializes in South Jersey commercial real estate listings and services, has been appointed exclusive sales agent to market this South Jersey land site. 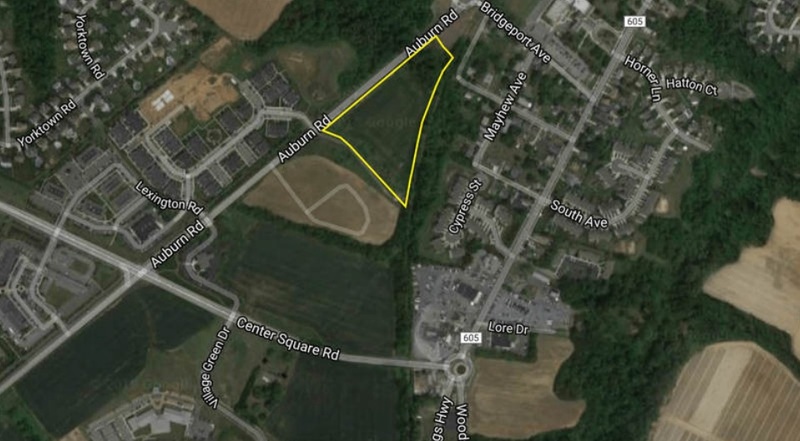 This South Jersey land for a pad-site development opportunity is positioned at the intersection of Route 38 and Hainesport-Mount Laurel Road. This South Jersey land site at 1288 Route 38 Hainesport NJ has access to both sides of Route 38 through a traffic light at the junction. More than 112,000 people live within a five-mile radius of this land for a pad-site development opportunity in South Jersey through Wolf Commercial Real Estate, a South Jersey commercial real estate brokerage firm that specializes in South Jersey commercial real estate listings and services. The median household income for people living within five miles of this land in South Jersey is $93,011. There is convenient access to I-295, the New Jersey Turnpike, and Routes 70 and 73 from this land for a pad-site development opportunity in South Jersey available through Wolf Commercial Real Estate, a leading South Jersey commercial real estate broker. For more information about this South Jersey commercial land for a pad-site development opportunity at 1288 Route 38 Hainesport NJ or about any other South Jersey commercial properties for lease or sale, please contact Jason M. Wolf (856-857-6301; jason.wolf@wolfcre.com) or Christopher R. Henderson (856-857-6337; chris.henderson@wolfcre.com) at Wolf Commercial Real Estate, the foremost South Jersey commercial real estate brokerage firm. Wolf Commercial Real Estate, the foremost South Jersey commercial real estate broker that specializes in Southern New Jersey commercial real estate listings and services, is now offering prime South Jersey land for lease at 816 North Black Horse Pike. 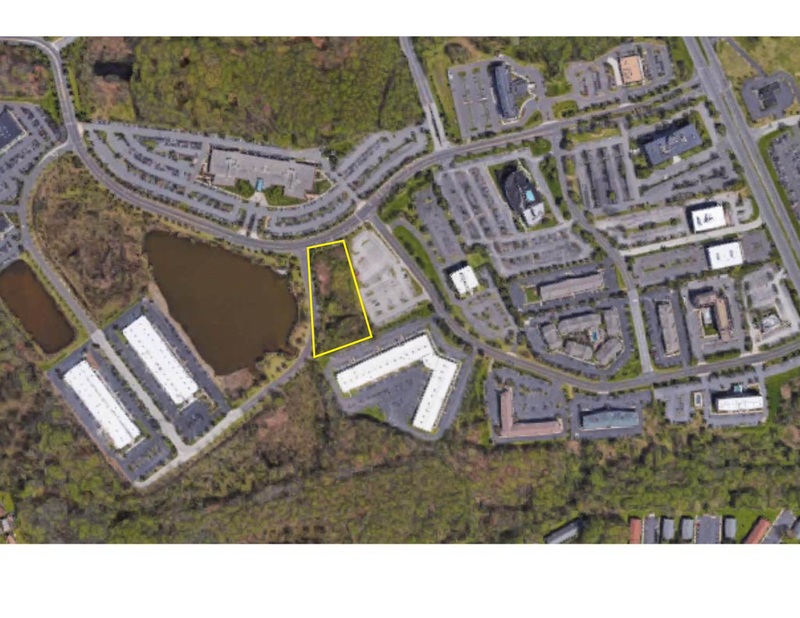 This Southern New Jersey land for lease is an approximately 1.39-acre parcel that fronts on 816 North Black Horse Pike Blackwood NJ. There is a highly visible pad site on this land for lease in Blackwood. The commercial zoning of this land for lease in South Jersey at 816 North Black Horse Pike Blackwood NJ allows for a variety of retail and professional uses. This South Jersey land for lease has 178 feet of highway frontage on the Black Horse Pike. Please call for more information on the asking lease price of this land for lease in South Jersey at 816 North Black Horse Pike Blackwood NJ. This Southern New Jersey land for lease is available through Wolf Commercial Real Estate, a South Jersey commercial real estate brokerage firm with expertise in Southern New Jersey commercial real estate listings and services. This land for lease in Blackwood is located between a new Super Wawa convenience store and a Howard Johnson hotel. The Southern New Jersey land for lease at 816 North Black Horse Pike Blackwood NJ offers great access and visibility near an Atlantic City Expressway interchange. More than 216,000 residents live within five miles of this land for lease in Blackwood. The average household income in the same radius of this Southern New Jersey land for lease is $75,507. For more information about this South Jersey land for lease at 816 North Black Horse Pike Blackwood NJ or about any other South Jersey commercial properties for lease or lease, please contact Christopher Henderson (856-857-6337; chris.henderson@wolfcre.com) or Jason Wolf (856-857-6301; jason.wolf@wolfcre.com) at Wolf Commercial Real Estate, a South Jersey commercial real estate brokerage firm. Wolf Commercial Real Estate, a leading South Jersey commercial real estate broker that specializes in South Jersey commercial real estate listings and services, is now offering a premier South Jersey land site for sale at 1030-1040 Auburn Road Woolwich Township NJ. This South Jersey land for sale is located on 1030-1040 Auburn Road in Woolwich Township NJ. The property at this South Jersey land parcel for sale has commercial overlay zoning (non-residential). There are +/- 4.72 acres of developable South Jersey commercial land for sale at 1030-1040 Auburn Road Woolwich Township NJ. The asking price for this land for sale in South Jersey is $975,000. This South Jersey land site for sale at 1030-1040 Auburn Road Woolwich Township NJ is immediately available for development. Wolf Commercial Real Estate, a South Jersey commercial real estate brokerage firm that specializes in South Jersey commercial real estate listings and services, has been appointed exclusive sales agent to market this land for sale in South Jersey. This South Jersey commercial land for sale through Wolf Commercial Real Estate, a South Jersey commercial real estate broker, is farm land that has been cleared and this South Jersey land for sale has approximately 500 feet of frontage. This South Jersey land parcel for sale is located minutes from Route I-295 and the New Jersey Turnpike. Permitted uses for this South Jersey land site for sale at 1030-1040 Auburn Road Woolwich Township NJ are medical, professional, retail sales (including alcohol package goods), banking, restaurants, fast food, funeral homes, and personal services. Nearly 28,000 people live within a five-mile radius of this prominent South Jersey commercial land for sale through Wolf Commercial Real Estate, a South Jersey commercial real estate brokerage firm that specializes in South Jersey commercial real estate listings and services. The average household income for people living within five miles of this South Jersey land for sale is $104,209 and nearly 13,000 vehicles a day pass by this land for sale in South Jersey. For more information about this South Jersey land for sale in Woolwich Township at 1030-1040 Auburn Road or about any other South Jersey commercial properties for lease or sale, please contact Ryan Barikian (856-857-6307; ryan.barikian@wolfcre.com) at Wolf Commercial Real Estate, the foremost South Jersey commercial real estate brokerage firm. Wolf Commercial Real Estate, a leading South Jersey commercial real estate broker that specializes in South Jersey commercial real estate listings and services, is now offering a premier South Jersey land site for sale in Mount Laurel NJ on Atrium Way. This South Jersey land for sale is in the Horizon Corporate Center in Mount Laurel NJ. The property at this South Jersey land parcel for sale is zoned I-Industrial and there is 1.84 acres of developable South Jersey land site for sale in Mount Laurel NJ on Atrium Way. The asking price for this land for sale in South Jersey is $199,000. This South Jersey land site for sale in Mount Laurel NJ on Atrium Way is in a Class A office campus that offers its tenants public utilities. Wolf Commercial Real Estate, a South Jersey commercial real estate brokerage firm that specializes in South Jersey commercial real estate listings and services, has been appointed exclusive sales agent to market this land for sale in South Jersey. This South Jersey land for sale is minutes from Exit 4 of the New Jersey Turnpike and Exit 36 of Interstate 295 and, in addition, this land for sale in South Jersey that is available through Wolf Commercial Real Estate, a South Jersey commercial real estate brokerage firm that specializes in South Jersey commercial real estate listings and services, provides access to Routes 38, 70, and 73. Banking, light manufacturing, processing, and fabricating are some of the permitted uses for this South Jersey land parcel for sale. 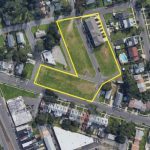 Other possible uses for this land for sale in South Jersey are storage, wholesale, lodging, childcare, a restaurant, or a convenience store. For more information about this South Jersey land for sale in Mount Laurel NJ on Atrium Way or about any other South Jersey commercial properties for lease or sale, please contact Ryan Barikian (856-857-6307; ryan.barikian@wolfcre.com) at Wolf Commercial Real Estate, the foremost South Jersey commercial real estate brokerage firm.